Like many I assumed only dairy products milk\cheese\yogurt as good sources of calcium.Considering how big and powerful the milk industry is,people are made to believe that it is the only good source.Unless one chooses to become vegetarian for better health or search for alternatives due to allergies or lactose intolerance,the equally nutritive alternative sources like Soy ,Almonds, vegetables like Kale,broccoli,Okra,lentils like Urad, remain undiscovered. In my case it was my son's asthma which lead to hunt for alternatives.Excess intake of Dairy products are not recommended for asthmatics,as it can increase the mucus production.I have limited his intake to Organic reduced fat milk after the diagnosis ,I also substituted with alternative sources like above to make up for the daily required recommendation of calcium.He is used to the flavor of cow's milk,the change to soy milk with a distinct after taste was not liked hence I tried the almond milk with mellower taste,even that he wouldn't take it unless flavored with cocoa.Total transition seems impossible with his picky tastes.But when ever he has an episode of cold followed by symptoms of asthma,I stop all kinds of dairy products for few days until he gets back to normal breathing pattern,that helps the symptoms from getting bad to worse.That's no doctors advice,its purely based on my observation and research in milk's connection with excess mucus\phlegm production. Even if you don't suffer with any kind of milk allergies,try Almonds for its extra nutrition of Iron and Vitamin E ,totally absent in cow's milk and above all it has Zero cholesterol. Though prepacked Almond milk may not provide same health benefits as the Whole Almonds ,home made Almond milk is good alternative.If plain is too bland for you,flavor it up with cocoa or the strawberry syrup. How to make Home made Almond Milk? Method : Soak the almonds overnight in plenty of water.Remove the skin and process in the blender with 3 cups of water until smooth.Now filter through a cheese cloth\muslin cloth in to a clean storage container.Store in fridge for 4-5 days. Use it in baking cookies ,bread or thickening gravies .You even dehydrate it until dry and flaky then dry grind it to make almond flour. For my brave boy who has been through so much struggle at tender age,this almond cocoa is just for you buddy. 1/4 teaspoon pure vanilla or pinch of cinnamon for flavor. Process in a blender or use a whisk to blend together the cold almond milk,sugar and cocoa until well combined. Heat the milk to desired temperature over medium heat,whisk in cocoa and sugar until smooth.Serve warm. The recipe is off to Alka's Just For You event. How much calcium is one supposed to take for healthy bones and efficient functioning of other vital body processes ? 1 cup of almond or cow or soy milk has about 300mg of calcium. Please Note:sodium increases calcium losses,so reducing salt intake would also help in calcium absorption in the body..thanks for the useful bit of info Sweta. Yasmeen this is such a nice ,informative post.......I really didnt know that dairy products increases mucus production. When I saw the header Almond milk I thgt it would be a long difficult process but no its simple and healthy.My daughter is very fussy with milk......Ill try this and see if she likes it any better.Thanks for sharing! 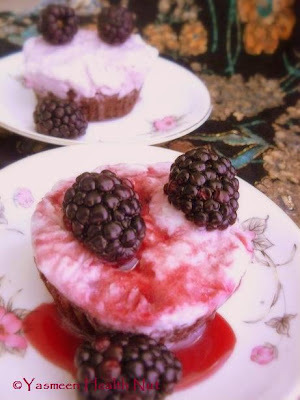 I love you collection of recipes! Drinking milk does give me tummy ache these days, got to make some Almond milk. Wow that is amazing information about Almond milk...never realized it has so much calcium! Thanks for the recipe...I think I will try making that! It can be such a trial with children but you have really come up with great alternatives!! Info about almond milk is new to me. Much useful a post ya. I suffered the asthma when I was a kid .I was allergic to many items like milk, fish, peanut etc etc..I got it cured naturally, in course of time. Don't worry dear. As we get older we will develop strength to overcome this. My hearty prayers for the child to get rid of this problem soon dear. Totally new information. Almost same % of Vitamin D & Calcium, right and an extra bonus of Vitamin E and no Sat-fat...Wow. I love Almond milk already...cocoa on top...sounds like double treat to me. Well...My Mother had Asthma for more than 15 years. And she used to be allergic to so many items...curd, brinjal, tomatoes...what not. When she took Homeopathy medicines everything came down to normal...free from allergies and absolutely no asthma. No worries, my friend...as we get older we build strong immune system. You have my prayers for his good health! Good info yaar. I always make badam kesar dudh at home. Nice & Refreshing!... love ur strawberrry milk & mostly the lasan chutney! I will definitely try this! I tried to make it in my Champion juicer after soaking the almonds overnight, but the nuts were still too hard and it didn't work. It was fun squeezing off the skins, though! Home made almond milk.... Sounds great. Nice recipe. Looks so good... YUM! YUM! Great information...Nice post..Simple and healthy and nutrisious milk .. I love almond! 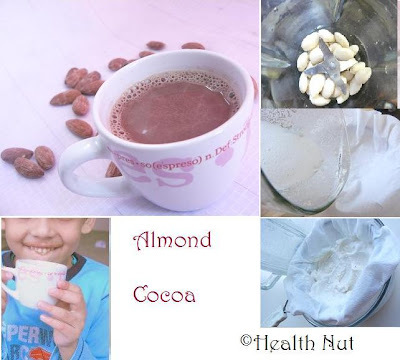 This is a great idea to make a home made almond milk, thanks for sharing! I agree about your observation on mucus production through milk. I used to stop external milk when the kids used to have cough when they were young for the same reason. Almond milk is a very good alternative. Just wondering whether you have tried the two together - almond milk and soy milk, half and half or suitable proportion? I have used in cakes etc. and I like it too but I do not know whether your son would. I also flavor it with fresh vanilla from pod. With children of course it is a little difficult esp. once they have already known the good taste of other things!! Very informative post. And an yummy recipe. Hugs to your brave son! He is very lucky to have you for a mom..kudos to you for coming up with delicious alternatives for him. I love almond milk too, but never tried it in cocoa. Sounds good. My mom says don't give milk for kids when they have cough & cold, that increase mucus, probably elders would have adviced her. But poor kid, he has to suffer at this age. Hope he gets better with ur health concious! I never thought of almond milk, seems he is enjoying mom's discovery! I love almonds and Imp i really liked ur son's cute expression. 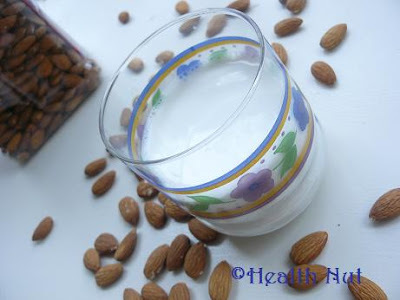 this iss awonderful post..thanks a lot for sharing how to make almond milk at home..nice info..
lovely post. i have taken a liking to almond milk too - right now baking a lot with it! thanks for all the information! I have never made myself at home almond milk. You have give lot of good information. Very informative n delicious almond milk, happy to see ur son enjoying his cup of almond cocao..looks great yasmeen..
have you tried ayurvedic principles for you child? The information about milk causing mucus also confirms to ayurveda, but there are other ways in ayurveda which can be of help. i have tried a peanut milk recipe and even made paneer with that and it was awesome, i found the recipe in a book published by groundnut board of India, i shall post that in my blog in future. Really hope lil Nabeel throws of the menace as he grows! Such a wonderful ,informative post with equally wonderful healthy almond milk. Thats a nice piece of info... Almond cocoa looks delicious! Very informative. I didn't know how easy it was to make almond milk, and what a great idea to use the drained pulp in baked goods. Thanks. yasmeen,even i crave for a glass..seen your son enjoying...feeling so full seeing kids enjoying..that too a healthy drink..Hats off to such an informative post. A great read and a very informative post...will definitely try the almond milk...cheers to ur brave boy!! wow! i really enjoyed your very informative post. you are so right about the milk industry. i am defenitely going to try this. book marked! Really a very useful and informative post.........Thanks for sharing. very informative post yasmeen. thank u for that. 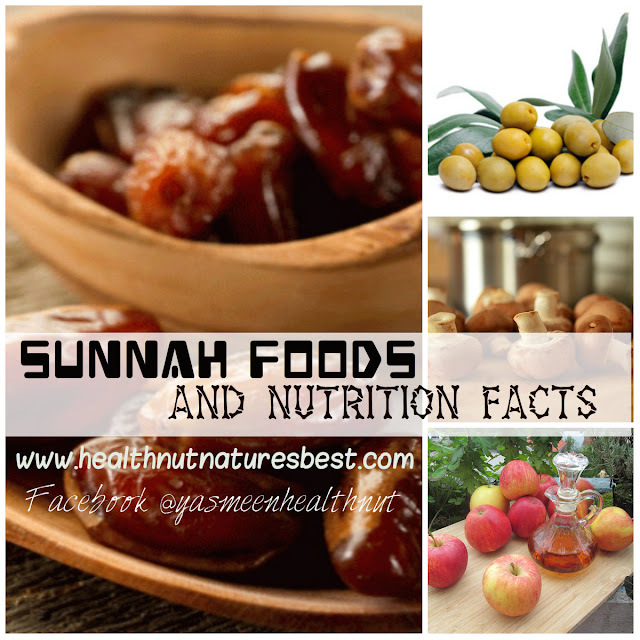 a very informative post from u today and really helpful to all of us! I was doing some research since my daughter has asthma too and i found that some have long term allergies to milk which results in frequent colds, ear infections, wheezing etc. So, though some have an instant reaction if they have an allergy, it could even be a long term reaction.. so i've switched my daughter to soymilk but i do give her cheese and yogurt once in a while. The one month she was off dairy completely, she didn't have any wheezing episodes. This almond milk is very interesting but my daughter has some nut allergies too so maybe when she outgrows them :) Thanks for the info yasmeen. 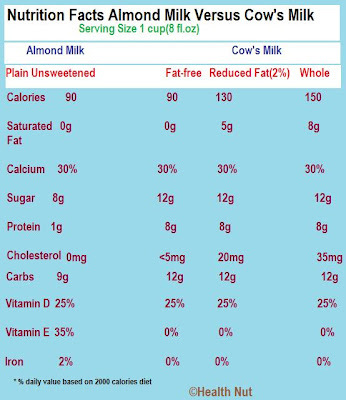 Nice to know that almond milk is so nutritious and even better than cow's milk. I had no idea! Hi yasmeen, good info. I also stop milk products as soon the cold symptoms start,with my 7 yr. old...but it's kind of tough. Hope your son is doing lot better with all the nutrional steps u r taking. Hi Yasmeen! I'm researching alternatives for my daughter - she will be 1 year in a couple of months and cannot have dairy. After researching a lot - even if she could tolerate it - I don't think I want her having it anyway! Can you tell me how old your son was when you put him on almond milk? I'm so ready to get her started on it as I could not nurse her; something real and whole in her system will be so welcomed after months of synthetic formula. I make my own almond milk often and love it! She has a very well rounded colorful diet already; so I feel she won't be missing anything by not going on whole milk as most pediatricians suggest. Any thoughts? Its so hard to find almond milk here locally, so this is definitely blessing from Heaven! thanks so much! The Recipe is so delicious and tasty. 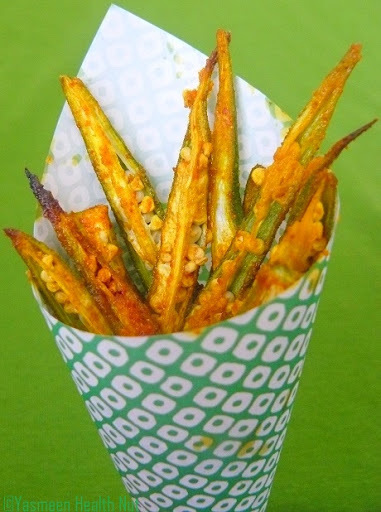 I have tried many such similar recipes but none have worked so great for me. Thanks a lot for those detailed and step by step instructions that made it easier to get the job done in no time. I love Almond Cocoa with Home made Almond milk and I am greatly fascinated by its health benefits around us. Here I also have some info regarding almond milk that will be a great value to all its readers. this is such a nice and informative post.